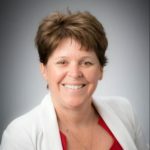 I’m Heather Sheardown, a professor in the Department of Chemical Engineering at McMaster University and a Tier 1 Canada Research Chair in Ophthalmic Biomaterials. Our research involves delivering drugs to the eye and coming up with new materials for treating conditions that affect the ocular system. One of the other things we work on is understanding how to make more comfortable contact lens materials. I’m sure if anyone out there is wearing contact lenses they would not say that at the end of the day their lenses are comfortable. Most people after five to seven hours really are ready to take their lenses out of their eyes. What we’re trying to do is understand what factors that we can incorporate into the material that will allow these materials to be more comfortable for a longer period of time. There are for example lenses out there that can be worn for 24 hours or even for periods of up to two weeks, but the problem is they’re not comfortable for that period of time. So if we could make it so that those lenses are comfortable then we would have more people in lenses, more people would experience the freedom of lenses and also the comfort of having a lens in their eye. Being able to wake up in the morning for example and being able to see the alarm clock or being able to read their phone and know what time it is as opposed to having to put on glasses and carry around glasses with them all the time. An example of what we do is related to eye drops. We’ve all put eye drops into our eyes and when you put an eye drop into your eye you lose a significant amount of it onto the cheeks, you lose another big amount of it through the nasal lacrimal gland through the tear training ducts. What happens is less than five percent of the drug that you put on your eye actually gets to the tissue that we want it to get. What this means to a patient is that they have to put drops in their eye, in some cases every hour or every two hours but at least once a day in most cases. For people with chronic diseases like glaucoma they’re having to put drops into their eye every single day. What we’re doing is developing better ways of getting the drop in or getting the drugs into the eye and then having it stay on the eye for a longer period of time. So for example we’ve got a formulation that we’re developing that actually sticks to the outer surface of the eye and it sticks to the eye for a period of 3 to 5 days releases the drug really slowly over that period of time. What that means is that you don’t have to put drops in every day or twice a day but you can put them in once a week or once you know every five to seven days to enhance the efficacy of the drug that you’re putting on the eye. We’ve also got some projects looking at how you deliver drugs to the back of the eye so currently drugs are delivered to the back of the eye through an injection directly into the eye. People are getting needles in their eye about once a month at this point. What we’re trying to do is come up with ways of increasing the time between those injections. If we can increase the time from once a month to once every six months or once a year that would have significant benefits to the patient. Getting a needle in your eye obviously isn’t the most pleasant thing but it also has a significant risk of infections. So every time you stick a needle in your eye you risk getting an infection, you risk getting a cataract, you risk tearing your retina. If we can decrease the number of these injections we can decrease the risk of these complications meaning that these patients will have better vision for a longer period of time.